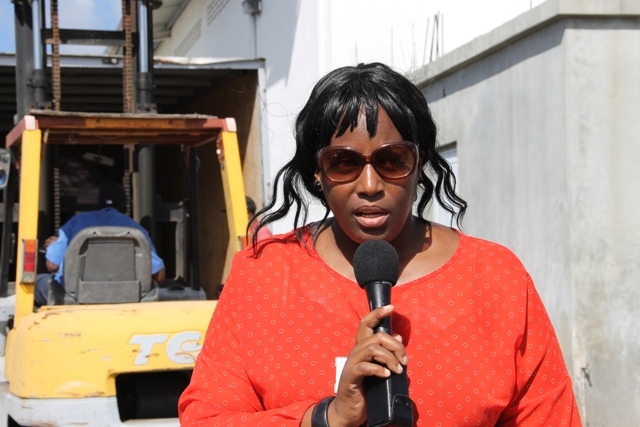 The public appreciation came from Product Development Officer in the Ministry of Tourism Nicole Liburd on behalf of the Ministry on September 07, 2015, at the Long Point Port where the first consignment of a donation had arrived from the Four Seasons Resort. “We want to show them [Dominica] that Tourism cares and our tourism partners have heard their need…We want to thank the tourism sector for their generosity. The response was very overwhelming. “We appreciate their thoughtfulness and the way they have given and we do appreciate it. So on behalf of the Minister [Hon. Mark Brantley], Permanent Secretary [Carl Williams] and staff at the Ministry of Tourism here in Nevis, we want to say thank you to all our stakeholders,” she said. 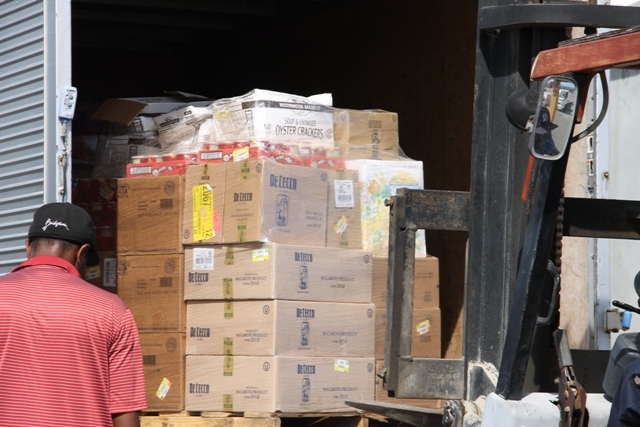 Liburd explained that so far they had also received donations from the Golden Rock Inn, Botanical Gardens and Hermitage Plantation but urged those who had not yet heed the call to do so. “For our tourism partners who have not given as yet, we recognise that a number of the properties are closed yet we still encourage you to be a part of the appeal for Dominica in any way that you can,” she said. 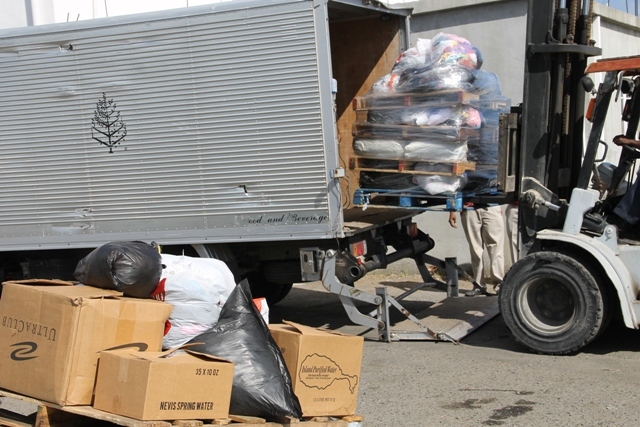 According to Liburd, the donations made include water, medical supplies such as gloves, plasters, gauze, toiletries such as toilet paper, roll on, sanitary pads, non-perishable food items, clothing and shoes, pampers for various stages for children, adult pampers as well as numerous canned goods. Meantime, the Tourism official noted that the idea to assist Dominica came when the extent of the devastation of the sister Caribbean island became apparent in the days following the passage of the storm.